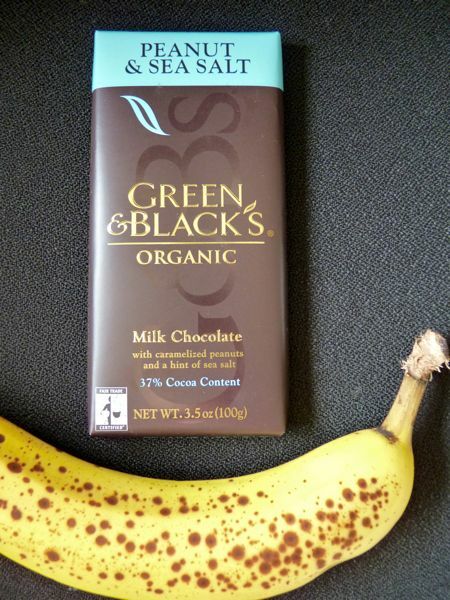 Today was Day #5 of Chocolate and Peanut Theme Week -- with some deference to bananas and monkeys as well. Yes, well, one sort of leads to the others. (See yesterday's post.) In this case, I ate some banana slices with today's peanut chocolate choice. 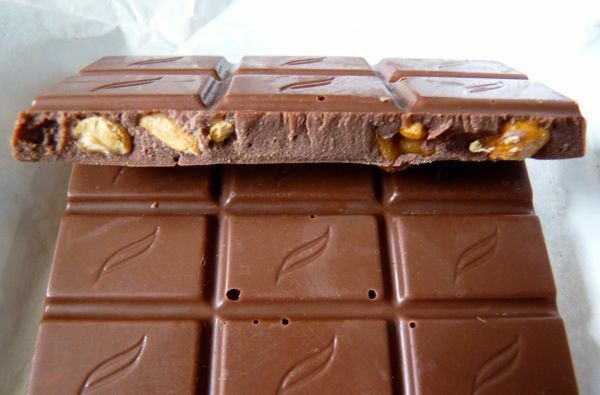 This Peanut and Sea Salt bar from Green and Black's was made with organic milk chocolate (37% cocoa content) and sweet, caramelized peanuts. And the Sea Salt? It was very subtle; I couldn't really taste it. Too focused on the organic sugary side I guess.